While your marriage is an exciting time for you as a bride, and a time for celebrating with those who are closest to you, it can also be a poignant time when a loved one is not present to share in the excitement. When you’ve lost someone close to you it’s normal to feel sad that they can’t share in one of the most important days of your life. Alternatively, it might be someone on your husband’s side of the family. Remembering a deceased loved one at your wedding isn’t meant to be sad. 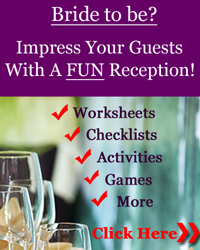 Nor is it meant to overshadow the festivities and celebration at the reception. Instead, it’s a time to honor their memory in a tasteful and significant way that is meaningful to you and your husband. For many brides it’s particularly poignant honoring a deceased father since traditionally he is the one who walks the bride down the aisle. Whatever way you choose, it will be a particularly special time as you remember and include those who are closest to you even though they can only be with you in spirit. 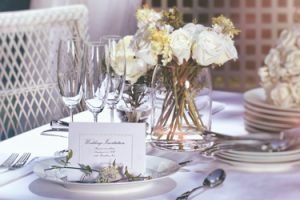 If you’re a DIY Bride, then creating a memory table will have special meaning to you because it gives you a chance to include your unique creativity. A memory table can be either at the ceremony or at the reception. It can include a lighted candle or lantern or a floral arrangement. Most memory tables include photos of a loved one. Photos are also particularly appropriate where there is more than one person who is being remembered. Your table display honors those who are not there in person but are with you in spirit through a poem or other sentiment that shows that someone special in your life is missed on your special day. Some poems start with In Loving Memory or In Honor Of….or use the word Love or Heaven – all of which are fitting for you and your husband’s big day. If your deceased loved one was a member of the military or other special service you can include a flag or other symbol of their service to the community or to their country. You can find some wonderful examples of Memory Tables on Pinterest or on Etsy. You can see other unique wedding memorial ideas here. The purpose of honoring a loved one isn’t about being morbid. It’s about acknowledging the absence of someone who was very special in your life. They’re someone who has had an impact on your life in some way. They may have raised you or been a big part of your life as you were growing up. You might have photos of them from when you were younger. Other times you’ll have a montage of photos of them. Sometimes it will be a recent photo, other times it will be a collection of photos of them throughout the years. Candles are perfect for either the ceremony or reception. They stand out as being significant especially when they’re highlighted by themselves on a separate table. You can reserve a seat or a table in a very special way for those who are not present. You can drape the table with a special tablecloth or colors. Armed forces, for example, drape a table in black to acknowledge a fallen soldier. Add a memento like their favorite hat or favorite flowers together with a framed photograph, poem, or memorial plaque. When adding a personal memento, ensure the memento is not lost during the excitement of the ceremony or reception. If the memento is particularly important (and it usually is), it’s best to keep it near or under the watchful eye of a trusted friend rather than risking losing it. While it’s traditional to have something borrowed to symbolize what a bride should wear for good luck, carrying a personal accessory of a loved one has an entirely different meaning. It symbolizes a remembrance of a loved one and carrying a personal accessory is symbolic of having that person close to you to share in the events of your marriage. The personal accessory, in this case, is a keepsake made from something owned by the deceased loved one. The personal accessory could be a locket with a photo in it and worn around your neck. It could be a locket or jewelry that your loved one wore. Or it could be a locket with a loved one’s photo in it attached to the bouquet. It could be a swatch of cloth from a dress. Use lace from your loved one’s dress in your own gown or have a garter made from the lace of the deceased’s dress. Or embroider a phrase or saying at the bottom of your gown. An accessory could also be a handkerchief, pin, charm, medal, button, or a pair of cufflinks. 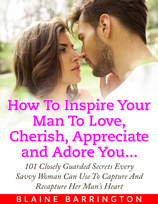 Whatever is chosen, it’s symbolic and meaningful to you and your husband in some way. Many people have favorite flowers or colors. You can create a floral display on the memory table or with your centerpieces at the reception that incorporates a favorite flower of your loved one. Another way to honor loved ones who have passed is to have a special toast during the speeches and toasts event at the reception. You can ask your Master of Ceremonies to make a short toast in memory of those who are missed but not forgotten. 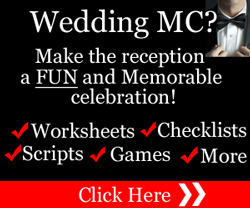 Alternatively, a dignitary, special guest, or family member can make a special toast instead of the emcee. If the deceased had a favorite song or it’s a song you remember the deceased by, then it’s entirely appropriate to play the song at some point during the reception. It might be during the main meal. It might be during a change of events. It might be a dance number. If it’s a dance number, you can play the music and, if appropriate, dance with the deceased’s partner if he or she is attending your marriage celebration. For example, if your grandmother is deceased but your grandfather is attending the reception, you could play your grandmother’s favorite piece of music and dance with your grandfather. Alternatively, the tune can be used as the music for the First Dance which will leave a lasting memory for you and your groom after your marriage. Perhaps you have favorite photos of your deceased loved one with you as a young child. Select your favorite photo and have it enlarged and framed and placed on a memory table. Traditionally the bride walks down the aisle with her father. If your father is deceased you may elect to have your brother or a close male relative or friend walk you down the aisle. Alternatively, if your father was in the military or was a police officer or a firefighter, you may decide to carry his hat, helmet, or beret with you as you walk down the aisle alone. 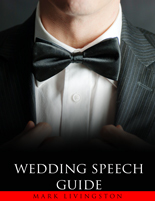 You can then hand it to your mother as a symbolic gesture before standing beside your handsome groom at the altar. When you choose to remember deceased loved ones you should keep in mind that someone else – especially a remaining spouse – will miss them too. While it’s not mandatory, it shows your sensitivity and thoughtfulness when you ask them if your remembrance is fitting to the deceased’s memory. 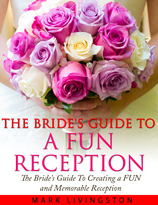 They’ll appreciate your graciousness and it avoids any ill-will, unexpected surprises, or upsets on your special day. Whether it’s a deceased parent, grandparent, relative, in-law, or close friend, there are many ways to honor their memory and acknowledge them during your ceremony or reception. These are the people who are forever in your heart but are missed in person and including them in a small (but significant) way at your wedding is a sign of both love and respect and a way to acknowledge that they’re not forgotten.